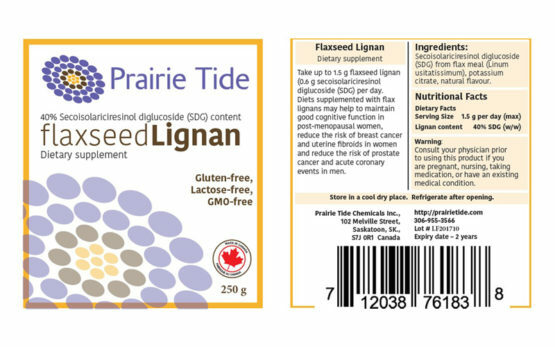 Flaxseed contains 10 times more lignan, an estrogen-like substance, than any other known plant source. We have it in a convenient capsule for you to take. Extracted from Canadian Flax, the most abundant plant source of lignan. Contains at least 50% SDG. Reduces risk of breast cancer and uterine fibroids in women. Reduces risk of prostate cancer and acute coronary events in men. Helps manage symptoms of menopause and premenstrual syndrome. Lignan 50 contains at least 50% SDG. Our Lignan 50 is one the most concentrated natural form of flaxseed lignan available.